Tottenham Hotspur bring their slender 1-0 semi-final lead to Chelsea with a place in the EFL Cup final set to be decided after 90 minutes. Tottenham have been dealt the blow of losing star striker Harry Kane until March. Kane’s penalty settled the first leg in Tottenham’s favour but now they must make the trip to Stanford Bridge without their talisman. 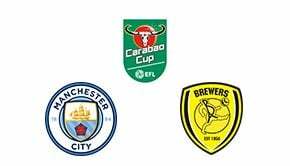 That will only go on to spur a Chelsea side who are looking for their first EFL Cup title since 2015 and may feel the Lilywhites are there for the taking with top betting sites making the Blues favourites to win the match on home soil. Despite this, Tottenham come into the game on a run of three straight victories over Chelsea including that 3-1 win at Stamford Bridge in April 2018. One thing Chelsea have struggled with lately is goals, five strikes in their last five games is hardly prolific and for a side that needs to score at least two on the night in order to progress in normal time is slightly worrying. However, Chelsea has only lost once at home all season in all competitions so expect them to win 1-0 in 90 minutes and sneak through on penalties. No Kane is a major issue for Spurs especially when you consider Chelsea has only conceded twice in their last nine outings in all competitions at the Bridge making this one of the best bets with sportsbooks for a Spurs no score. 10bet make it 2/1. Chelsea has only managed two first half goals in their last eight outings in all competitions and coupled with the above bet, makes for a solid return at 19/10 with 10bet. Tottenham hold a slender 1-0 advantage coming into this second leg after Harry Kane’s first half penalty settled the first half of this contest two weeks ago. Prior to that, the pair met in the 2015 EFL Cup final with the Blues winning the day 2-0 to lift their fifth League Cup. John Terry and Diego Costa were on the scoresheet that day with Tottenham losing out in their bid for a first trophy since 2008. Overall this will be the 10th meeting between the two in the competition. Chelsea beat Tottenham 2-0 in the 2015 final of the EFL Cup. Spurs hold a 1-0 advantage coming into the second leg but will be without star man Harry Kane. Spurs have not (and will not) play an EFL Cup game outside of London this season having played Watford, West Ham, Arsenal and Chelsea. 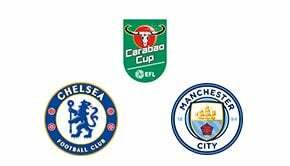 Chelsea won the first ever League Cup meeting between the two 3-2 in a December 1971 first leg contest. Tottenham are on a three-game winning run over Chelsea in all competitions.